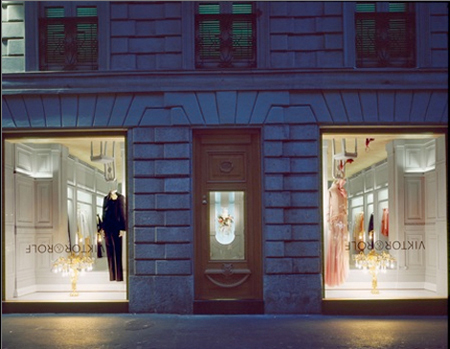 In 2005 fashion designers Victor and Rolf created a very inventive boutique in Milan to showcase their clothes. The Versailles style interior is build completely upside down. At first glance, it seems like the interior was just turned upside down, but the elements of the original ceiling are cleverly used to make a new logic that fits the ground. The archways are transformed into benches and chandeliers change into flowers sprouting out of the floor. 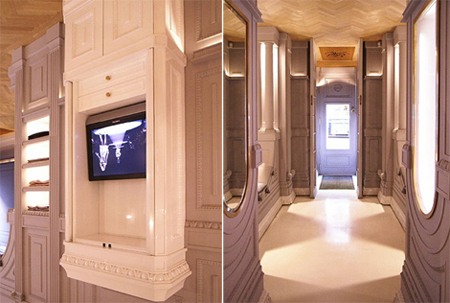 The ceiling is made of a oak parquet that is normally used for the floor. Victor and Rolf executed their idea very consequently. The front door is upside down as are the chairs, the doormat is on the ceiling, and the cornice moldings for the top of the wall now outlines the floor. Every element of the room seems as if the room itself is turned on its head. What I like about this artwork is that it is completely made out of elements, patterns and structures that normally make the interior of a house. It looks like everything was already there, but the elements are slightly changed and rearranged and now make up a whole new reality. The boutique is beautiful and makes you feel like you are in a fairytale. 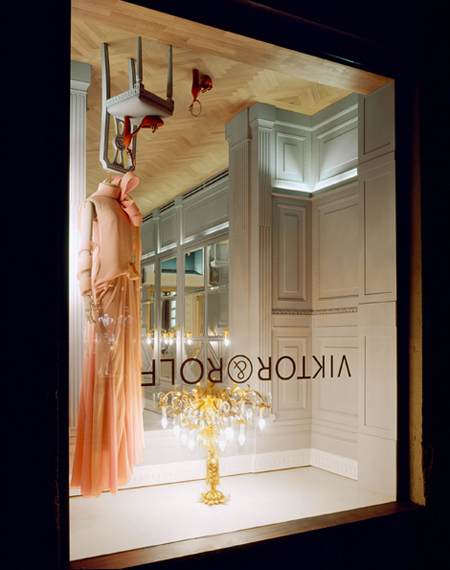 In the store a TV that is turned upside down displays a Victor and Rolf runway show. I wonder if they also put their shirts and pants upside down on the shelves? 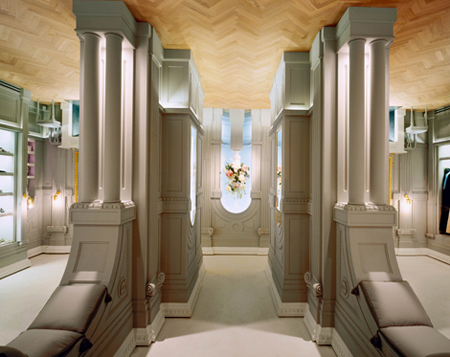 The work of Victor and Rolf might be inspired by Henry Roltair, an architect who built houses and their interiors upside down, for example at the Paris World Exhibition in 1900 (le manoir a l’envers).